gambling addiction treatment for individuals and their families. CASON counsellors provide ongoing support in a number of programs available to people struggling with their own substance use or gambling behaviour. Services include individual counselling, our 4-week Day Treatment Program, referral to residential treatment, and the Addiction Supportive Housing (ASH) program. The process begins with an initial assessment, which includes meeting one of our compassionate counsellors and sharing information related to substance use, gambling, physical and emotional health, family and relationships, and treatment goals. Day Treatment is a group-level intervention which is now four weeks in duration, meeting Monday through Friday from 9:00 AM to 3:00 PM. It provides group daily process activities daily which focus on life skills development and lifestyle change issues. In addition to our core services, the agency has responded to emerging needs and special populations by offering the following specific programs either alone or through partnership agreements with other agencies. Supportive, clean & sober housing while you work on your recovery. The clients will live independently in the Niagara Region with peer support and regular visits by the Case Manager. CASON offers a range of services for people who are impacted by someone else’s substance use or gambling behaviour. Once you call Gambling Support Services, you may schedule an initial one-on-one appointment with a counsellor who is trained to understand gambling problems. The Back on Track (BOT) Program is a provincial program that is operated by the Centre for Addiction and Mental Health (CAMH) in Toronto. Any person who is impacted by a family member’s substance use/gambling, is welcome to attend treatment for themselves. There are a number of residential treatment facilities available across the province for people who feel they need help in making changes to their alcohol and/or drug use, emotional and physical health. 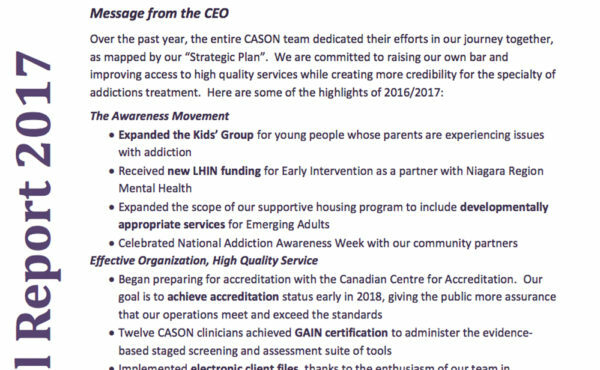 CASON has a number of youth counsellors that understand the challenges and pressures that youth may face and offer counselling and life skills training to help such youth set and achieve goals, reduce or eliminate substance use or problematic gambling, and improve their socio-emotional functioning. We need your help! If you would like to donate to Community Addiction Services of Niagara, please click the Canada Helps button below. You will be directed to a website where you can securely make a donation of your choice via Visa, Master Card, American Express or PayPal. You will receive a tax receipt upon submission. If you're not sure who to call, please call the Mental Health & Additions Access Line at 1-866-550-5205. I want to go to residential treatment. What steps must I take? Is there a cost for any of the services? CASON is now accredited by the Canadian Centre for Accreditation! 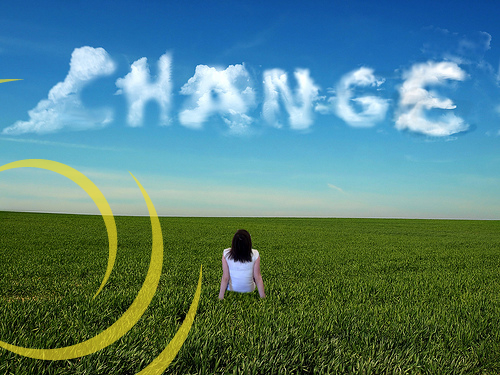 The Process of Change…Which Stage Are You At? 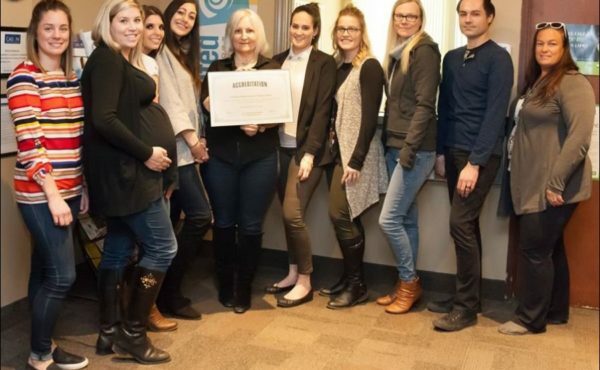 Community Addiction Services of Niagara is committed to excellence and collaboration in the provision of a comprehensive client-centred community based service for individuals and families with addiction concerns. © Copyright 2017. Community Addiction Services of Niagara. Integrated Accessibility Standards Policy.